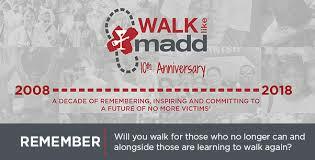 CELC Middle School is participating in Walk Like MADD Saturday, 13 October 2018 to raise critical funds for Mothers Against Drunk Driving® (MADD) and help put an end to the 100 % preventable crime of drunk driving. Walk alongside us and take steps to stopping this violent crime. Support Mothers Against Drunk Driving – participate with CELC in Branford’s annual walkathon. 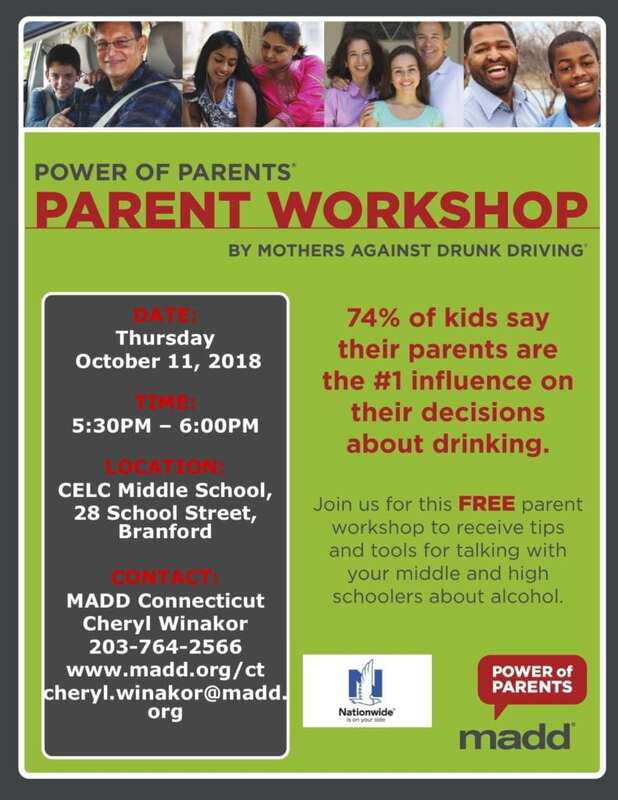 Location: Meet at Branford Green by 9:30 a.m.
CELC Middle School invites parents to participate in a free workshop presented by MADD this October. MADD’s Power of Parents® research-based program and materials are provided to parents, equipping them with the tools necessary to prevent underage drinking. Power of Parents workshop meets Thursday, 11 October 2018 5:30 – 6:00 p.m. Location: 28 School Street, Branford, CT. Cost: FREE. Contact mandm@CTExperiential.org or call 203.433.4658 to register or for more information.